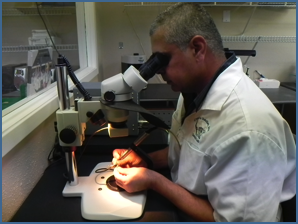 Thank you for your interest in our dental laboratory. I want to take just a moment to introduce myself and my lab to you. 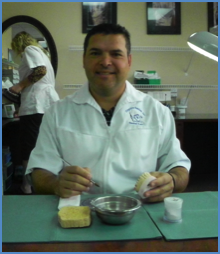 I have been a laboratory technician for 25 years, and am an '88 graduate from Texas State Technical Collage. I have owned my business for 11 years. Creative Smiles, Inc. is an innovative dental lab with a specialty on metal free esthetics. The durability and esthetics of our all ceramic restorations represent the optimum in natural and vital appearance. Our specialties include multiple unit veneers, IPS Empress, IPS Emax, Lava Procera and implant restorations. We are experienced in all major brands of implants, such as Straumann, Nobel Biocare, Zimmer and Astra; from stock abutment to cad cam custom abutments, our laboratory will fill any need you and your patient require. We utilize the best materials for your soft tissue cast and only use certified parts on all implants. We encourage our doctors to send their patients to our stare of the art laboratory for consultations and/ or custom shading. 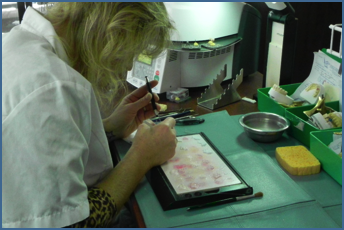 In addition to our innovative cosmetic specialties, we also take great pride in our crown and bridge design team. We utilize the latest in phaser welding for precision fit in bridge prosthetics. Creative Smiles, Inc. raises the bar with life like restorations you and your patient expect. We thank you for you time and look forward to meeting with you and your patient soon.